Tree by tree is a project set up by Tino Rawnsley and his partner Catherine Selby. A woodworker and woodsman all his life, Tino has been passionate about trees ever since childhood playing in the woods and coppices of the north downs of Kent. In late 2016, Tino was diagnosed with motor neuron disease, a life limiting disease for which there is currently no cure. Below, Tino explains what led to the setting up of the project and his hopes for its future. “Determination to challenge the feeling of powerlessness against this disease is a call to action. 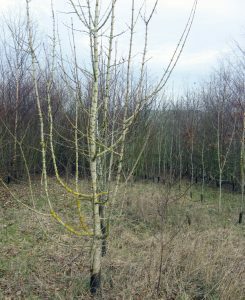 Over time I have come to realise that planting a tree is one of the most simple yet powerfully positive acts we can do and have found that many people share this feeling. Planting trees has become an imperative”. “After a life spent working with wood and trees, I am acutely aware of the degradation of the environment and recognise the feeling of powerlessness many have in the face of the constant assaults upon the natural world”. From these seeds the idea of Tree by Tree grew. An idea to plant trees together, to celebrate together and to create a lasting legacy. Forests of Hope. Tree by tree. 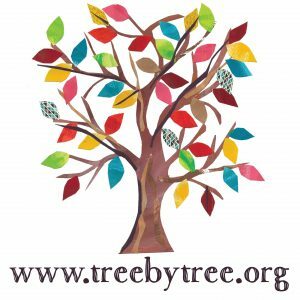 You can learn more about Treebytree and future events by visiting their website: www.treebytree.org.